They requested signs to differentiate the two (like FOREVER ago) and I finally figured out how to do them and what I wanted them to look like. 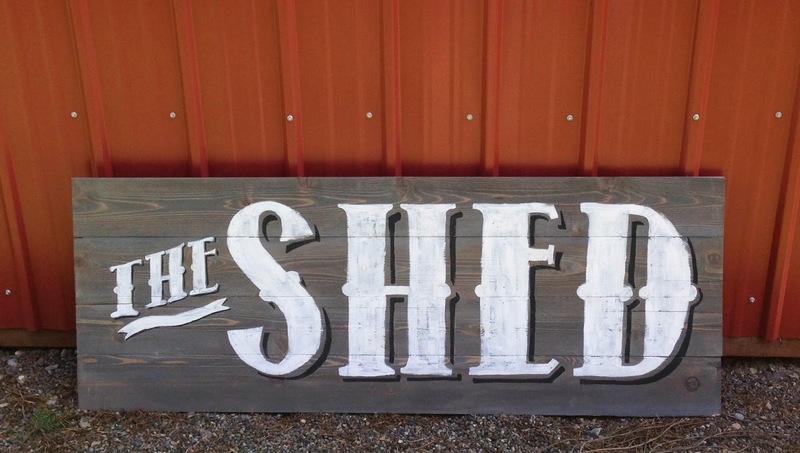 I decided on the look of an old general store sign. We used four 6 ft cedar fence boards stained in Weathered Gray. 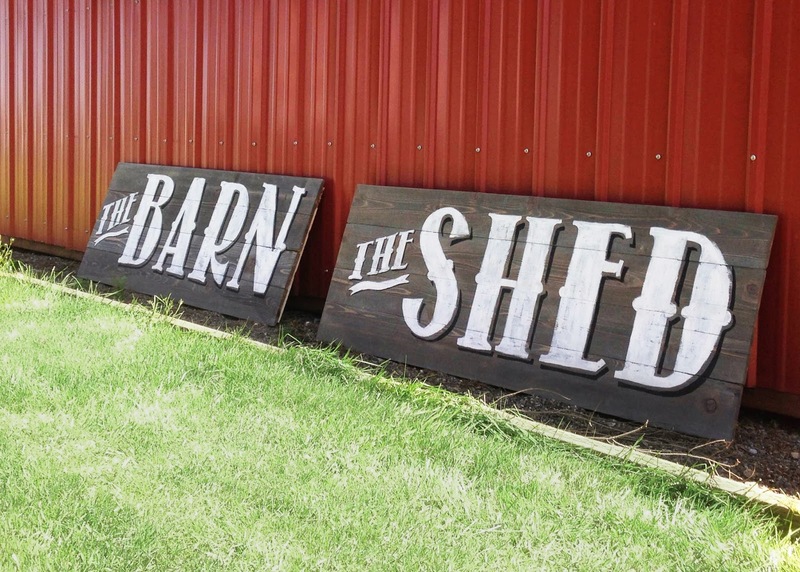 (they ended up a tad under 6ft by the time you cut off the dog eared ends of the fence boards) I then used my projector to get the lettering on and then painted the lettering in by hand. I chose not to seal them right away so they can weather naturally. Once they reach the desired weathered look, I can seal them with an outdoor varnish. My parents loved them! What do you think? 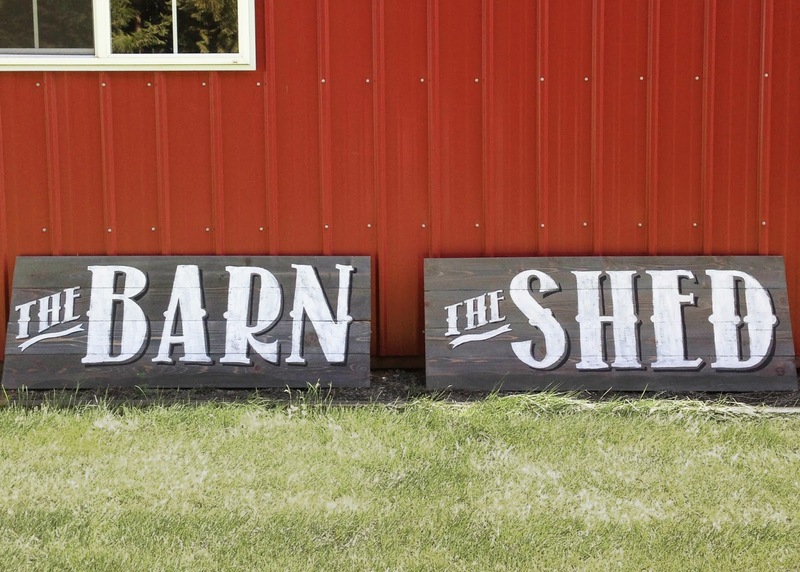 I think I need to make a big sign for my own house...maybe our last name? or one for Averie Lane Boutique? 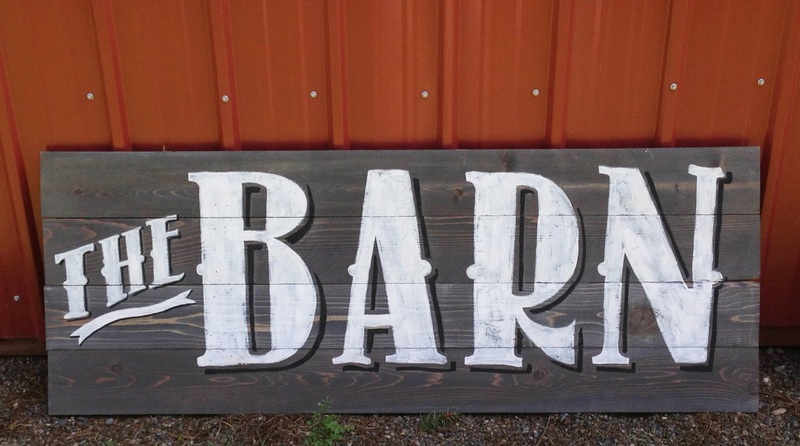 If you are interested in a custom sign for your shop, business or home I'm for HIRE! I'm in the Boise, Idaho area if you are local, but shipping can be arranged as well!